End this year on a high with exclusive India Cruises that are designed keeping the Indian traveller in mind. With 6 & 8 night sailings on the award-winning Celebrity Constellation, guests will get an opportunity to travel from or to Cochin (India) or Mumbai (India) and visit various ports across India & UAE while enjoying a modern luxury cruise experience. 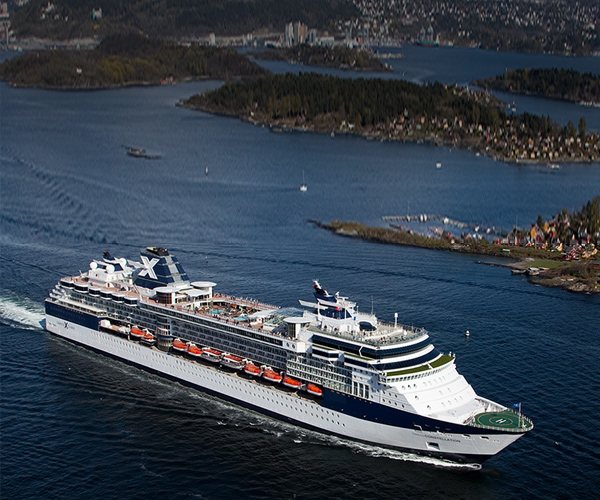 Experiential and upscale on every level, Celebrity Constellation® constantly sets new standards in modern vacations. All you need to do is book your room while we handle everything else for you. Explore delightfully diverse experiences on-board Celebrity Constellation® which covers everything you would want for a perfect vacation. While you are busy discovering everything, we want you to have a place of your own – our stateroom. From luxurious interiors to ocean view balconies you will feel right at home. It is your private, peaceful and perfect retreat. Our staterooms have new technology that have made RFID door locks. All you’ll need to do is tap your room card on your door lock, and your stateroom door will automatically unlock itself for you. It’s your room’s way of saying, “Welcome back”! Unlimited entertainment on-board. From the action in the casino to interactive theme parties, there is always something going on. Also there are activities that are sure to keep the kids occupied while you have a relaxing holiday – from classes to film festivals, we are game to keeping them entertained. Enter the ship and be greeted by a stunning atrium. Add to this features cool Canyon Ranch SpaClub where you'll be pampered beyond belief, dine at the rustic Tuscan Grille, or just relax by the pool – seriously this is one cruise you'll never want to end.